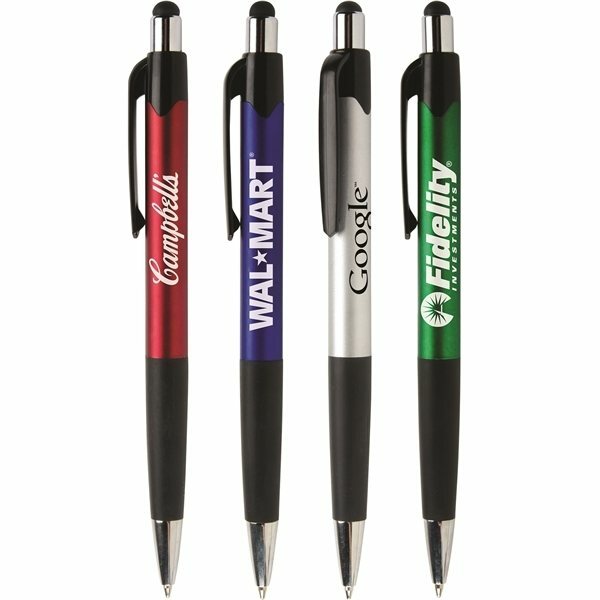 Get in touch with your valued customers and clients by supplying them with this multifunction tool! 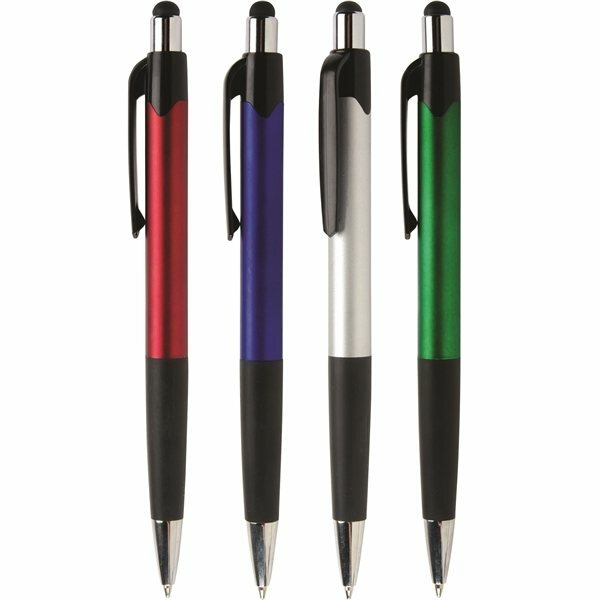 Printed with your logo, the Mardi Gras® Touch pen is a click-action ballpoint with a handy stylus that works well with all touchscreen devices. 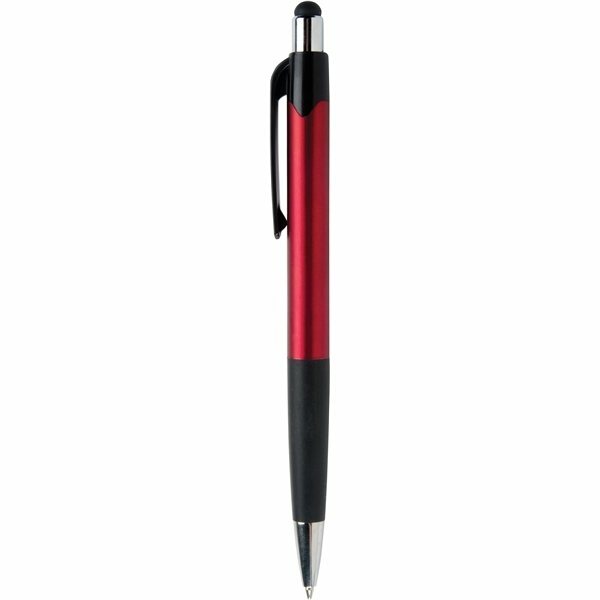 Made of plastic, features include a jumbo metallic-colored barrel, black and silver trim, and a rubber grip for writing comfort. 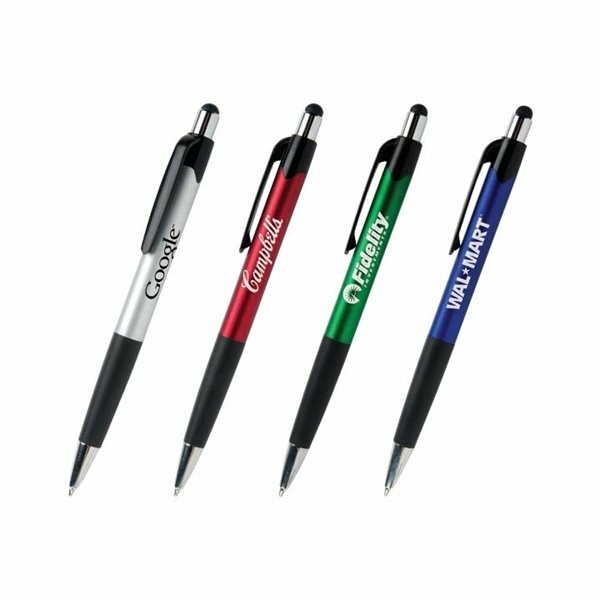 Available with a guaranteed ultrasmooth writing ink cartridge. 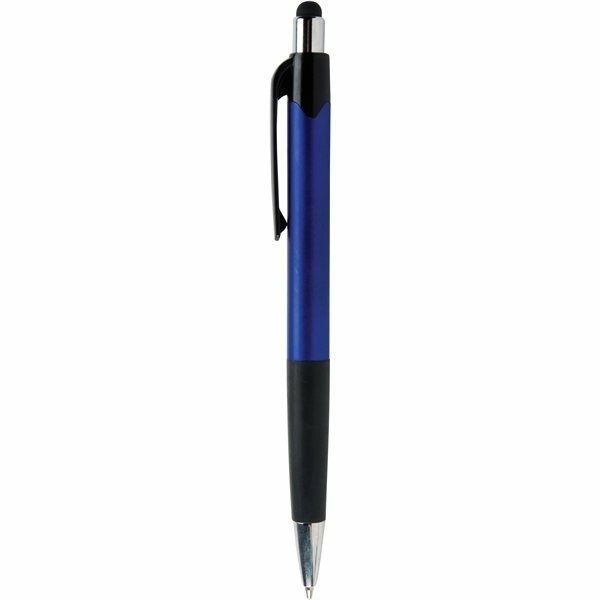 the quality of the material is very good - it doesn't look cheap! Great price!. When we received the products, they were exactly what we had hoped for.